KNOXVILLE, Tenn. – No. 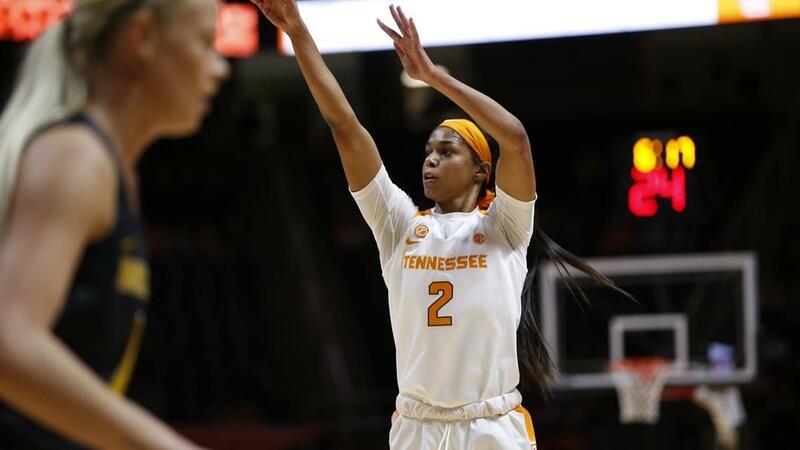 10/10 Tennessee was edged out by Missouri, 66-64, in its SEC home opener Sunday afternoon at Thompson-Boling Arena in front of a season-high crowd of 9,113. Tennessee trailed by five points with less than 90 seconds remaining but fought back and had a shot to win at the buzzer. Rennia Davis’ runner in the lane fell short. 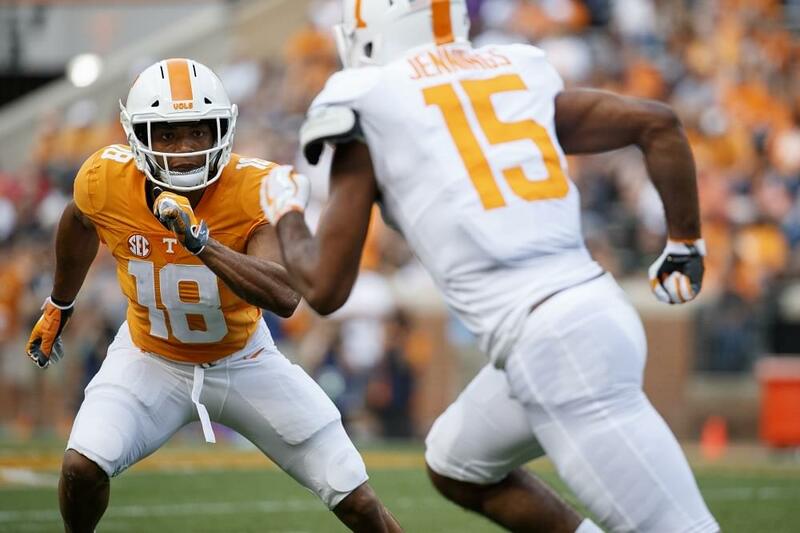 Davis and Evina Westbrook led the way for Tennessee (12-2, 1-1 SEC) with 16 points each. Cheridene Green finished with 13 points and 14 rebounds, her second double-double of the season and a career-high mark on the boards. Missouri (13-3, 2-0 SEC) was paced by senior guard Sophie Cunningham, who finished with 20 points, six rebounds and six assists. The contest was back-and-forth for the entire game, as the lead changed 13 times and neither team ever held a lead larger than five points. Missouri was threatening to pull away late, taking a 65-60 lead with just under two minutes to play. On the ensuing Lady Vol possession, however, freshman Zaay Green drove to the basket and converted a three-point play to cut the deficit to two points. A free throw by Westbrook on Tennessee’s next possession trimmed Missouri’s lead to one. After another stop by the Tennessee defense, the Lady Vols had an opportunity to take the lead, but a 15-foot jump shot by Davis rimmed in and out. Cunningham then converted a free throw to extend Missouri’s lead to two points just before Davis’ final shot missed at the buzzer. The opening half of play was just as close as the second. A driving layup by Westbrook with seven seconds remaining in the half gave Tennessee a 25-24 halftime lead to close out an opening 20 minutes that was a defensive battle on both ends. Neither team built an advantage larger than four points, while the lead changed hands eight times. Westbrook led the way for the Lady Vols in the first half with 11 points, while no player for Missouri had more than six. Up Next: The Lady Vols will host No. 16/15 Kentucky on Thursday at 7 p.m. in Thompson-Boling Arena. Kids 12 and younger are invited to participate in the pregame high-five tunnel on the court by picking up a free wristband at the Fan HQ table on the concourse. Battle Of The Boards: After out-rebounding the Tigers 41-34, the Lady Vols now have beaten 12 of 14 opponents on the glass this season. New Highs: Cheridene Green recorded the fourth double-double of her career with 13 points and 14 rebounds, besting her previous SEC high of five rebounds and career high of 13 set earlier this season against OSU. Evina Westbrook set a new SEC high of four steals.